The powerful emotions evoked by commemoration of the war dead have always been harnessed to cement social identities and to motivate contemporary action, whether civilian or military. At best, commemoration inspires efforts for reconciliation and peace. At worst, we see the concept of honour being conflated with conceit or aggressive revenge. Statesmen and philosophers since early China or ancient Greece have warned against it, but we continue to respond instead to the demagogues. The Great War of 1914-18 can be seen as the high point of competitive nationalism among Western nations. Culture-based national identities face many challenges today – economic globalisation, unprecedented cultural interconnectedness, migration, multiculturalism, and the weakening of supra-national ideologies. Shanti Sumartojo and Ben Wellings have brought together essays from sixteen scholarly contributors, addressing the ways that Great War commemoration has been adapted to suit local political priorities across several European nations as well as Australia and New Zealand. Australian politicians have been largely bipartisan about how they treat war and seldom shy to mobilise commemorative emotion in service of local and contemporary purposes. In these essays, the common theme is nationalism as the ideology that legitimises a political state. Editor Wellings’s guiding concept, set out in his own chapter, is that nationalism in general is inherently a response to global change, but depends upon reinterpretation of the past to support the collective ‘imagined identity’ of a contemporary nation. This idea underpins most mainstream academic study of nationalism since Benedict Anderson’s seminal Imagined Communities was published in 1971. Wellings applies the nationalism lens to identity politics in Australia, tracking from the Anglocentrism of the Menzies era through Hawke government multiculturalism, Keating-era republicanism and Asian regionalism, Hanson and Howard clock-reversals, and the variations in Great War commemoration that have reflected these top-down campaigns to change national identity. The general thesis is strongly supported in chapters that explore different expressions of politicised commemoration across a range of nations, each reflecting the specifics of its own national challenges. In Belgium, the United Kingdom and Ireland, regional, communal and sectarian factors produce different, often selective, memories to be embodied in official commemoration. In France and Germany, Great War memory is deeply overshadowed by World War II memory and the preoccupation with supra-national European unity. The specifically Australian approach to commemoration is unusual in the extent to which it has increasingly focussed on commemorative sites in foreign battlefields. Sites of battles or massacres in the British colonisation of Aboriginal Australia have not lent themselves to celebration of honourable combat, though Frank Bongiorno’s chapter on the inclusiveness of Australian commemoration notes a growing movement to address this, including among ex-servicemen of indigenous heritage. This differentiates Australia from our closest comparator New Zealand, where memorialisation of the Maori Wars and the Treaty of Waitangi is long-standing. White Australia has never fought an invader on our land, but has repeatedly fought costly wars against perceived threats far from home. Chapters dealing with the commemorative colonisation of Gallipoli (Mark McKenna) and Villers-Brettoneux (Matthew Graves) challenge the presumptions of Australian commemorationists. To a degree unique among nations, these remote commemorations have been co-opted into the Australian political calendar, at the risk of becoming political opportunities that domestic demagogues cannot resist. Romain Fathi’s chapter on Villers-Brettoneux is particularly sobering. 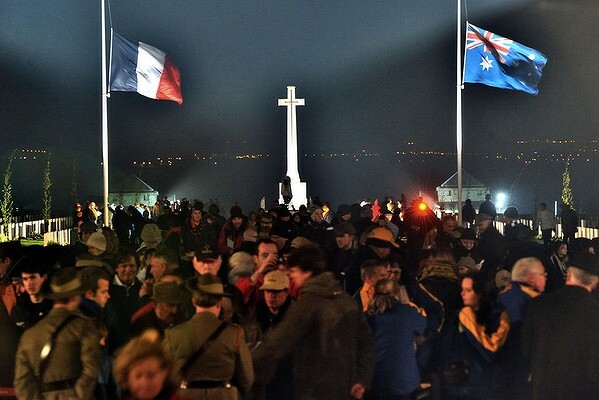 What began as a modest event hosted by a French village (and ignored by most of its countrymen) has been taken over as a ceremony staged and funded for Australian television, the local hosts pushed to the margins and many rendered cynical by what they observe as politicised tourism. 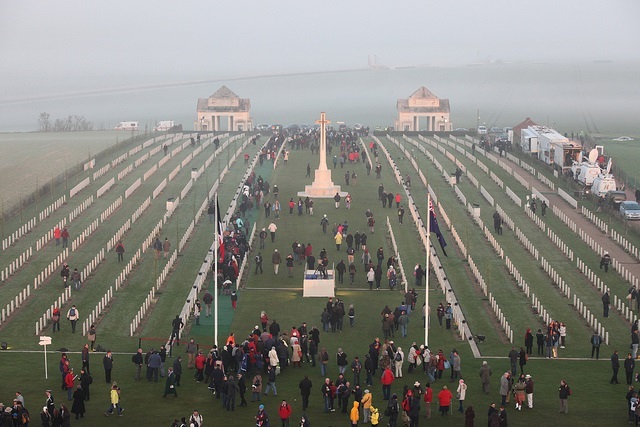 No other Great War participant has pursued its commemorative practice to anything like this extent, though major war cemeteries are maintained by all sides, usually with grace and dignity. But I am reminded of the massive, not to say gross, memorial set up in Soviet-era East Berlin to honour the ‘martyrs’ of the Red Army for their efforts to ‘liberate’ Germany in World War II. None of the contributors points overtly to the thread of opportunism that runs through electoral democracies. Speech stages and photo opportunities, with an excitable media crowd in tow on a foreign junket, are irresistible to many politicians and their attention-managing handlers. If sport works, then war works even better. The contributors’ professional restraint may reflect the fact that this volume arises from a symposium supported by the European Union at the ANU’s European Studies Centre. It’s an accessible and wide-scoped collection that should be helpful to any Australians looking for a broad perspective on the nationalistic slant of current Great War commemorations. Our war dead and wounded deserve to rest in peace. * Richard Thwaites has worked in book publishing, as a foreign correspondent and manager with ABC current affairs, in the Commonwealth public service, and has been a regular book reviewer for the Canberra Times. He is Honest History’s Vice President.